February 2018 | Matcor, Inc. The Durammo Deep Anode System is the only complete, factory assembled, ready to install deep anode system available. Here are the top 9 reasons it outperforms conventional deep anodes. The Durammo deep anode system is factory assembled, tested and shipped ready to install. With a conventional High Silicon Cast Iron or Graphite deep anode system design, the installer has to make sure he has all of the anodes, that each anode has the appropriate individual cable length, that he has all of the vent pipe segments, the couplings for the vent pipe assemblies, the centralizers, a junction box, etc… With Durammo it is simply a matter of attaching the weight shipped with the system to the anode system nose cone and lowering the factory assembled complete system in place. The Durammo design utilizes a single continuous wire anode assembly. With conventional deep anode systems, multiple individual anodes (as many as 20 in some cases) are lowered into the deep anode borehole and spaced a nominal distance apart. The use of a continuous anode configuration eliminates the mutual anode interference issues that cause different anodes inside the borehole to operate at different current outputs. The result of having different individual anodes each operating at differing outputs is that over time the various individual anodes have vastly different consumption patterns and the anode system’s stability changes as individual anodes start to fail while other anodes may hardly be operating at all. Conventional deep anode system utilizes high silicon cast iron or graphite anodes that have large (macro) consumption rates measured in pounds/amp year whereas mixed metal oxide (MMO) anodes are dimensionally stable and have very low (micro) consumption rates measured in micrograms/amp-year. This means that the normal 15-20 year life that is typical of many conventional deep anode systems can be replaced with 30+ year life Durammo systems, often with a lower installed cost. Typically the Durammo deep anode system costs less than a comparable conventional deep anode system, offers a longer design life and provides for a more stable performance –these factors combined results in a lower total cost of ownership. While the savings will vary depending on the specific deep anode system requirements, as a general rule the more conventional anodes being used, the greater the overall cost savings of using the Durammo deep anode system. The ease of installation of the Durammo deep anode system is one of the most impressive features that this product offers. Once the anode borehole has been drilled, a typical Durammo deep anode system can be lowered into place in less than two minutes. This is only part of the installation story; however, as the time saved, while impressive, is not the only benefit of an easy installation. Just as critical is the positive impact that the slim profile continuous wire anode design’s ease of installation has on system reliability. As a continuous anode system with a slim profile single assembly to lower down the hole, there is minimal risk of damage to the anode system cabling during installation. Contrast that to the installation consecutively of numerous large diameter conventional anodes one on top of the other. The risk of cable damage to lower anodes increases with each subsequent anode. The Durammo deep anode assembly weighs significantly less than a comparable conventional anodes system and takes up much less space when placed on a wooden skid – for multiple deep anode installations, two anode assemblies can be stacked on a single skid to further reduce space and facilitate handling. The lower weight reduces transportation costs and makes it easier to install when compared to heavy individual anodes that are bulky and must be manually lifted into place before lowering. The Durammo system is also much more robust and is not subject to breakage during transportation and handling. This is not the case with high silicon cast iron or graphite anodes, both of which are subject to breaking. 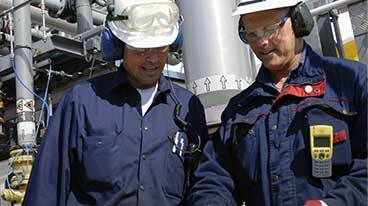 Several factors play an important role in determining the resistance of a deep anode system. 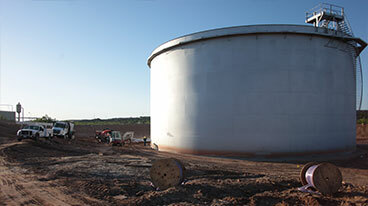 The coke column plays a critical role in the anode system resistance (as does the soil layering, the available moisture and the environment around the deep anode system.) Dwight’s equation is often used to predict anode system resistance with the assumption that the entire coke column is one single anode. Thus the quality of the coke column and the ability of current to flow freely up and down the coke column are important in reaching the resistance values predicted using Dwight’s Equation. Durammo’s continuous anode design eliminates the mutual anode interference affects that impede current flow up and down the coke column and the significantly reduced space taken up by the wire anode system helps assure a better coke column formation and freer current flow. The end result is often a reduction in anode system resistance over a comparable conventional anode system. 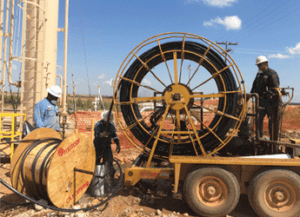 Chlorine gas generation can cause premature failure of a deep anode system’s cabling. Even chlorine resistant Kynar® cabling, which is standard with all Durammo systems, is subject to failure in the event of chlorine gas pocketing. Systems that utilize standard, non-chlorine resistant, cabling are even more at risk in the event that salts are present in the soil allowing chlorine gas formation. MATCOR’s SuperVent pipe has five times more open surface area than the standard All-Vent pipe that is common in the industry. With five times more open surface area, the venting effectiveness is 25 times better as pressure drop is a function of the square of the open surface area. Better venting translates into longer operating life. 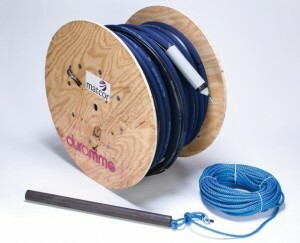 The Durammo anode system is available with Kynex injection molded wire to anode cable connection technology. This patent pending technology provides for a fully automated connection that offers the highest quality of waterproof connections. Historically, premature mixed metal oxide anode failures have occurred because of poor cable selection or faulty anode connections. MATCOR’s use of high quality dual extruded HMWPE/Kynar cabling with Kynex connection technology assures outstanding system reliability. Have questions or need a quote for a deep anode system? Contact us at the link below.